I think this has been the best month I have had so far this year. Although I have still been busy at work, it is no where near as bad as last month. And my plans for relaxation have been going smoothly. Between this week and last I have been focusing on one of my favorite relaxation past times, shopping. Ever since seeing this picture of Sakurina I have wanted a pair of white cowboy boots. My local stores did not carry cowboy boots and I could not find a pair online for $200 or less. 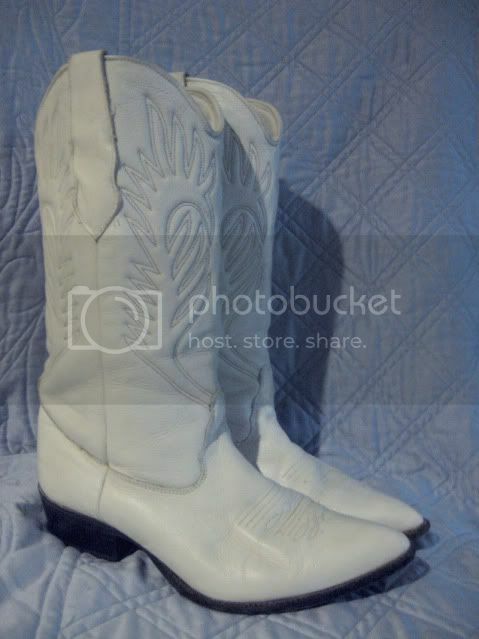 While out one day I happened to walk by a cute little pre-owned shop and right in the window were a pair of boots! And luckily they were in my size ❤. 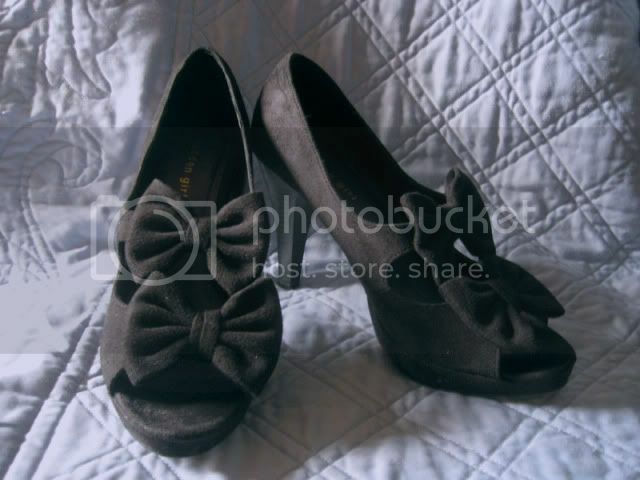 I also found these really cute pumps at Burlington coat factory last week. I was sad that the only colors they had were black and cream. I would have loved a white pair of these as well. I would be in shoe heaven if I could find boots similar to these Liz Lisa ankle boots. A lot of good things have been happening this month. I have lost a little more weight, been asked to do a few guest blog posts, and I have been accepted into the Maryland gyaru circle! Thank you August. I really needed you. What nice shoes you have there, especially those cute pumps. I couldn't believe that they actually made pumps like those, since to some normal people, two bows on 1 pump is already excessive. Congratulations on having a successful August. On a random note, I like the title. Really does fit in with your shoe haul. Lavenrose: Thank you. I hope the rest of the year is as successful as August has been. I hope you are having a good August as well. It isn't much of an imaginative title though. I was amazed when I saw those pumps too! Sadly not many normals were buying them. The shelf was full of boxes for those pumps and they were on sale. I love them though and am thinking I might go get a pair in cream.